A New Form of Donor Motivation: Rage Donating! When someone in a position of power challenges your belief in decency or equality, or when someone promises to make life difficult for you or the ones you love…it feels painful, it fills you with anger. 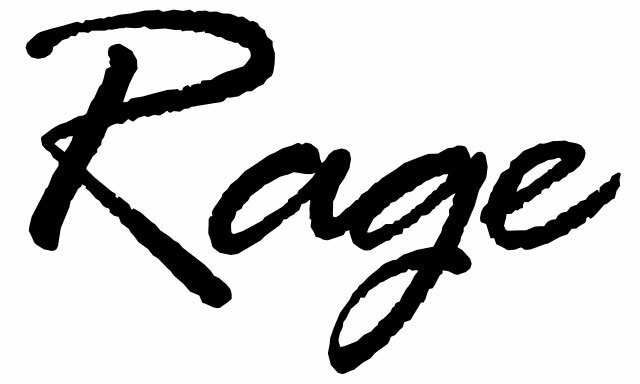 RageDonate harnesses the power of that anger to deliver real change. If words and actions make your blood boil, push a button to donate to a cause which directly benefits those under threat. It feels good, and it does good. Get mad and help others get even. A hastily erected website now allows us all to rage donate, providing those incensed by the recent presidential election to donate (possibly repeatedly) to advocacy nonprofits defending and advancing the rights of women, Muslim Americans, protectors of a free press, immigrants and people of color. It costs a mere $10 to “rage donate” after being spurred on by a relevant quote from our president-elect. 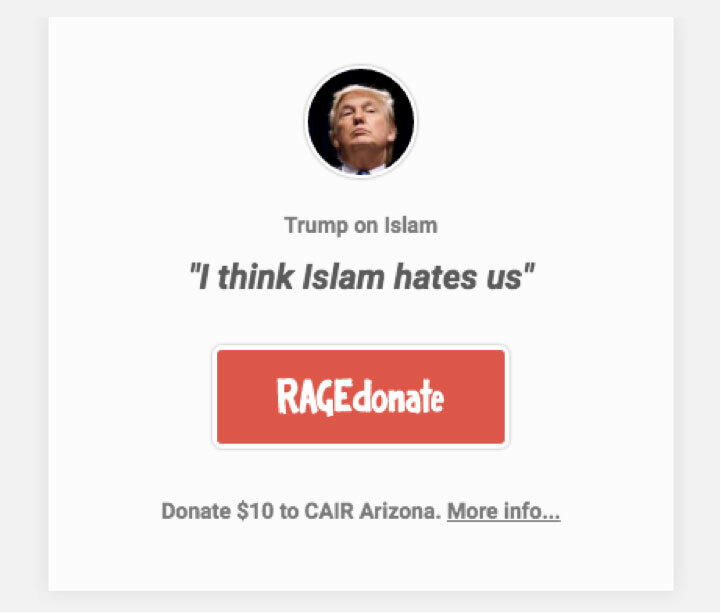 So, for instance, rage-donating to the slogan “I think Islam hates us” supports the Arizona chapter of the Council on American-Islamic Relations (CAIR). The effort is a volunteer-based project that flowed from the desperate creativity and frustration of “a collective of concerned and angry creative and technical folk across the USA” associated with #RageAgainstHate. No fees apply for now; the money goes directly to the selected organizations. Stripe, the back-end processing company the project is using, has waived the processing fee for the first $15,000 donated to each of the organizations listed, which include “Callisto, a tech-based group that works with sexual assault victims; Freedom of the Press Foundation; Define American, which advocates for immigrants’ rights; and Live Free, which works against the criminalization of people of color.” Border Angels, which advocates for human rights and immigration reform, and the Electronic Frontier Foundation, a nonprofit that defends digital civil liberties, are being added. A number of other smart people have also been promoting donations to advocacy groups representing people whose personhood may be under attack during this new administration. AM New York reports that: “Last Week Tonight host John Oliver took the extraordinary step of urging viewers on-air to donate to Planned Parenthood, the NAACP Legal Defense Fund, the Trevor Project, and other organizations serving communities that may come under fire during the Trump administration.” Other organizations he suggested were the Mexican-American Legal Defense Fund, the International Refugee Assistance Project, the Center for Reproductive Rights, and the Natural Resources Defense Counsel. Finally, he admonished viewers to support top-tier journalism.